Hey readers! 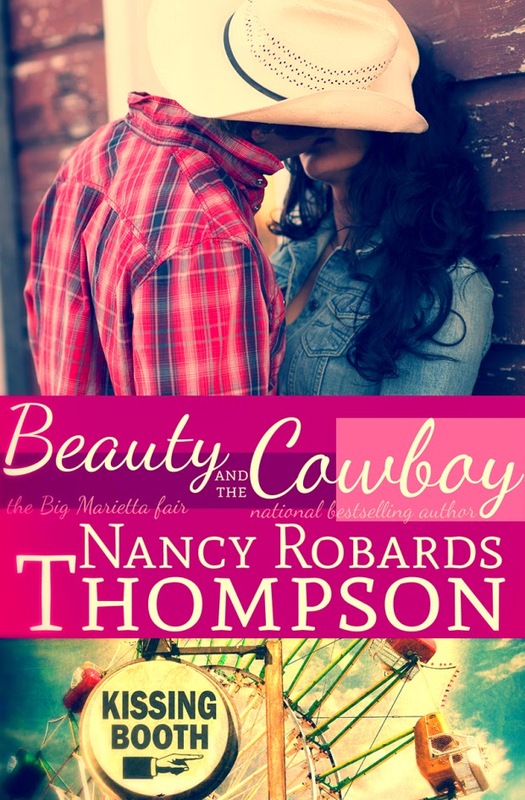 I'm excited to welcome author Nancy Robards Thompson to the blog today - Nancy is an award-winning author and she's going to give us a sneak peek into her new (cue the angels singing) cowboy romance. Here we go! It started with a ring that pinched and Charlotte Morgan didn’t like but her long-term boyfriend ignored her preference for another ring before he left on another business trip vaguely promising that they would look at other rings sometime. So was she engaged or not? And did she want to be? Charlotte feels uneasy, and her almost fiancé has stopped returning her texts and calls, but Charlotte doesn’t have too much time to ponder her relationship quandary. She was too busy preparing for the annual Marietta Fair with her childhood friend and fairgrounds manager Jesse Guthrie, whom she can’t stop noticing in a way that has nothing to do with their long standing friendship and everything to do with sexual chemistry that starts humming through her veins every time he walks into a room. Former rodeo star Jesse returned home to Marietta Montana after an injury derailed his career. He has harbored a serious crush on Charlotte since her beauty pageant and high school days, but she was always unavailable, and now that her relationship status just might be single, he intends to hang onto this chance and ride to the end of the bell. A forgotten memory elbowed its way to the forefront of Charlotte’s mind: Jesse Guthrie had been her first kiss. Innocent as it was, they'd shared a peck during a game of truth or dare. How old had they been? He was a year older. They must've been about nine and ten? Wow. She'd forgotten about that. Probably because shortly thereafter puberty had set in and things had gotten awkward. In subsequent summers, Charlotte hung out with her girl friends and Jesse became super focused on training to be a professional bull rider. Then they'd each been swept away by life. Jesse had dated Veronica Robb all through high school. Charlotte was still with Tom. Funny how the years changed people. Broken dreams and lost loved ones tended to do that to a person. Charlotte followed Jesse into his small, cluttered office. She couldn't help but notice that the slight limp caused by the accident that had ended his bull riding career was slightly more pronounced today. Somehow it made him seem earthy and manly. And Charlotte had no idea why those particular adjectives suddenly popped into her mind. Well, other than the fact that they described Jesse Guthrie to a tee. That was the thing about knowing someone as long as they’d known each other: they had license to notice the other’s gifts without it being a big deal. Right? At six-foot-four with mile-wide shoulders and piercing blue eyes, Jesse possessed considerable gifts. Plain and simple, he was hot. Being her friend didn’t diminish his hotness. In fact, as a friend, she’d glimpsed other facets of him that added depth and dimension to the man that others who might be put off by his gruff exterior might never see. She knew and understood the whole Jesse Guthrie package. Well, not the whole package. She had to bite her bottom lip to keep from smiling at the thought. It was a wonder someone hadn’t snatched him up and taken him off the market. In fact had he even had a serious girlfriend since Veronica? He’d dated Jodie MacCreadie off and on, but they were more off than on. Well, okay, there’d been Eve Canaday. They’d been more serious. Eve was blonde, pretty and from a well off family. Everyone thought that relationship might be heading somewhere. Charlotte would’ve been lying if she said she wasn’t a tiny bit relieved when they broke up. God, she was horrible. She really only wanted what was best for Jesse. Even though Eve had been perfect on paper, there was just something about them together that wasn’t right. As if she had a vote. Award-winning author Nancy Robards Thompson has worked as a newspaper reporter, television show stand-in, production and casting assistant for movies, and in fashion and public relations. She started writing fiction seriously in 1997. Five years and four completed manuscripts later, she won the Romance Writers of America's Golden Heart award for unpublished writers and sold her first book the following year. Since then, Nancy has sold 30 books and found her calling doing what she loves most - writing romance and women's fiction full-time. 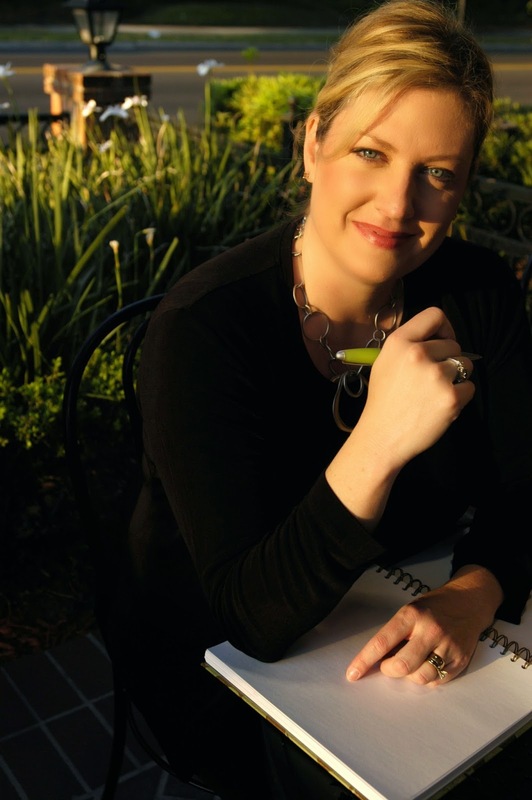 Please visit her website at NancyRobardsThompson.com, email her at NRobardsThompson@yahoo.com or connect with her on FaceBook at https://www.facebook.com/nrobardsthompson and Twitter @NRTWrites.